Additional info/contents New edition on the occasion of the 100th anniversary of the death of Julius Fucik 2016 with score! This arrangement adheres very closely to Fucik's original in terms of tempo, dynamics and phrasing. However, the arranger has adapted the instrumentation to the contemporary symphonic wind orchestra by including oboes, bassoons and saxophones. With this new edition, the timpani part and the tam-tam explicitly requested by the composer are back in their original state. The bass drum and cymbals have been omitted, as in Fucik. Especially the timpani and the conscious use of the tam-tam express the character of a mass for the dead. 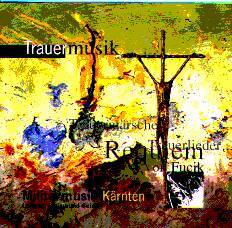 This masterpiece by Fucik is one of the first wind orchestra compositions of its kind. 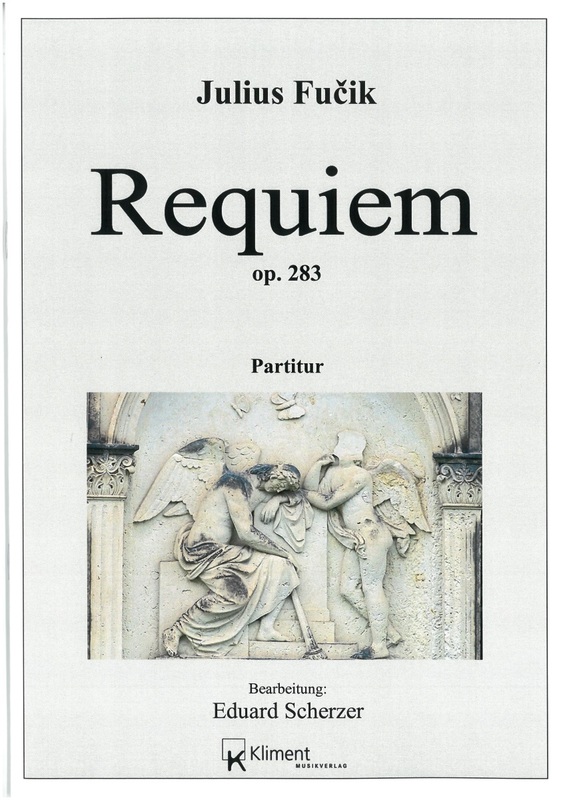 To this day it is probably the most famous, purely instrumental requiem in music history. Fucik composed this wonderful work for piano from September 12-14, 1898. Subsequently, the piano part was reworked by the master himself into a directional part for Austrian military music. For what reason the young composer wrote this melancholic music is not known. One possible reason could have been the murder of Empress Elisabeth on 10 September 1898 in Geneva. 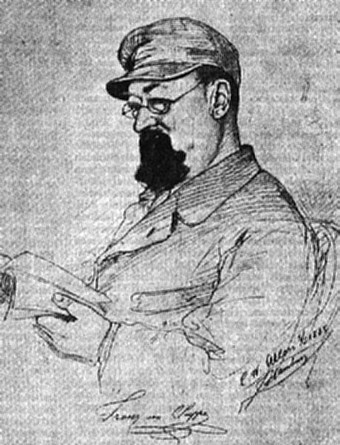 It certainly must not be emphasized in any special way that Julius Fucik (1872-1916) also is of particular importance in the field of sacred music when compared to his colleagues during his assignments as military bandmaster to various regiments. This also holds true when considering the genre funeral music alone. In addition to other relevant works, Fucik composed two requiems for band of which Requiem aeternam dona eis domine, Op. 283, is the more important one of the two. It is easily evident - thus identical to other symphonic works by Fucik - that here is an independent creation of musical value, the spiritual home of which, however, is the realm of Czech national music of Smetana, Dvorak, etc. Another aspect of importance - not only today - is that of symphonic wind music. While adhering to the traditional pattern, the Requiem Op. 283 reveals remarkable traits of a creative symphonic musical language. Regrettably its further development came to an abrupt end on account of the course of historic events at the beginning of the 20th century and Fucik's untimely death in 1916.